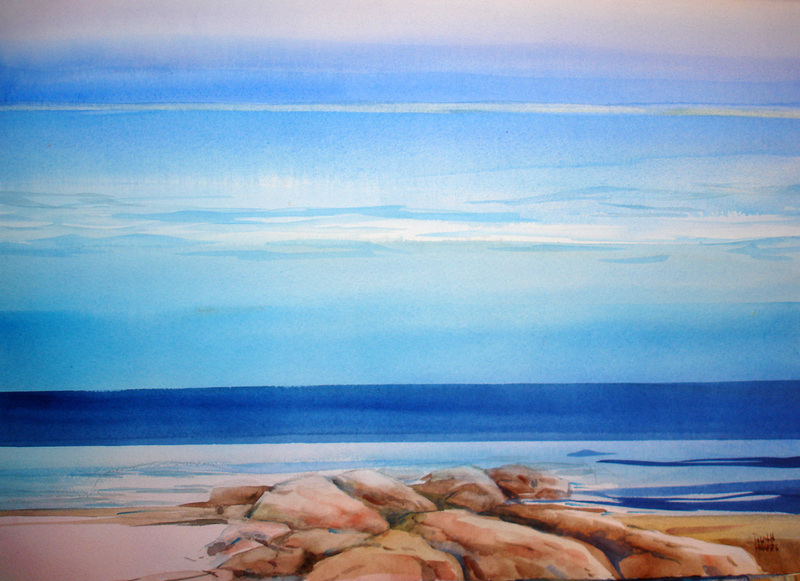 "Rocky Beach" Watercolour by Ruth Hayes 15"x 21"
Working in a series is not something that was planned or even thought about a great deal but it seems to be the way I have recently found myself working. Many artists have their phases or periods such as Picasso's "Blue Period" or "Cubism". For me it has been about living so close to a large body of water and being entranced by it's many variations. One painting won't allow me to express all that I see thus I find myself challenged again and again. The colour, the movement, the light, and the mood are all elements of a series of recent paintings inspired by water. I have tried to go beyond the landscape aspect and find the simplicity of calm, the luminosity of grey sky over grey water, or the joy in kids on a beach. On any particular day noticing new aspects inspires me once again. 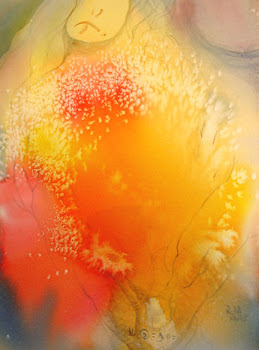 This new series inspired by water and other new works can be seen at the upcoming Beach Studio Tour. The dates are May 3rd, 4th and 5th. The tour is a great way to see a variety of artisans and their studios in the Beach and I would love to see you drop by my location at 17 Fernwood Park Ave. The opening is Friday evening 6-9 pm and runs Saturday 10 am-6 pm and Sunday 11 am-6 pm.